One of the residual benefits of all of my children being born in the same month is that things like coats and costumes fit everyone at the perfect season. 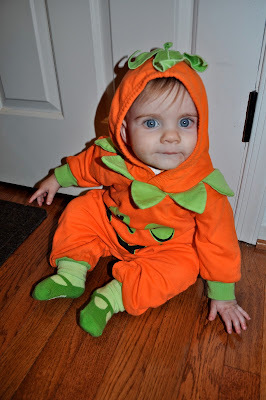 Before Caleb's first Halloween I found a pumpkin costume on ebay for the bargain price of $5. Oh, my...the cuteness is overwhelming!! They ALL made darling little pumpkins! If I had my act together I'd post something similar because all 4 boys have worn the same pirate outfit. I'd call the post, "Reduce, Reuse, Recycle." 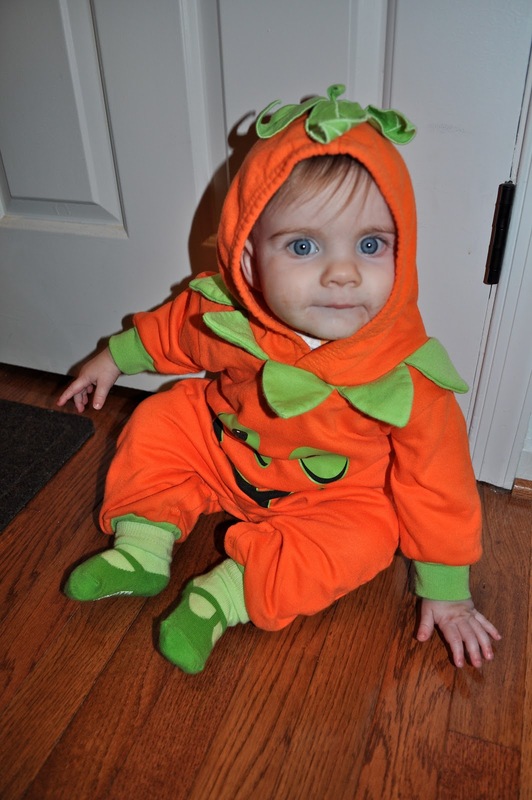 Claire's little socks that look like green Mary Jane's are so perfect that I thought they came with the pumpkin costume. I had to scroll up to look at the boys' feet again.